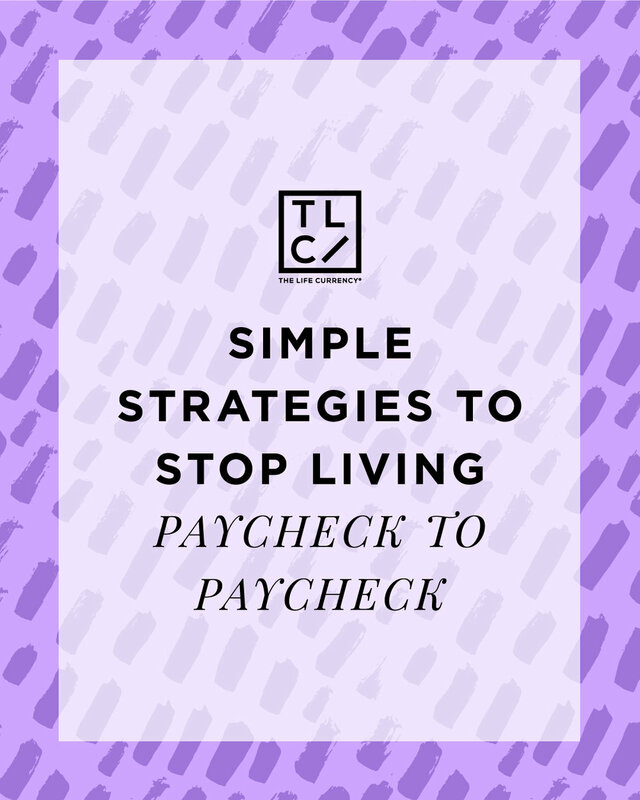 When you live paycheck to paycheck, you find yourself always scrambling and stressed about finding money until your next check. It cannot only be stressful, but take a toll on your health when you realize you never have quite enough to cover all your bills, let alone splurge on anything extra. Often you end up overspending for the month and unable to handle last-minute emergencies which cause you to run up debt as well. Using these tips can help you as you begin to reach your financial goals, and thrive financially. The first thing is to cut back on your spending. This allows you to have more money to work yourself out of debt, and have funds to put in your emergency fund. Once you debts are paid off, you will have more money to spend freely, not irresponsibly. The key is to find ways to save money in each category. The more you do, the easier it becomes to find more ways to save.If you work on cutting back in increments, it’s more manageable and the success will be greater. Once you cut back your spending, the next step is to budget effectively. You’ll want to actually write down a budget (or create a digital one on your computer), and follow through with it. When planning your budget, remember to incorporate all of your expenses so nothing is a shock. This also helps with not having bad periods where you spend excessively. You’ll know you’re budgeting effectively when you are fully aware of the money that’s coming in and going out, and know when it is time to stop spending money. Another key tip is keep some money in the bank! Do so by putting a percentage of money in the bank from each paycheck. Once you are out of debt, you can increase your emergency fund. When you have six months’ worth of funds saved or more, your worrying lessens. Even the smallest increments can make you feel confident about handling your finances. One of the hardest things to do will be to not touch the money once it is saved. If you feel as though you will not have any willpower, then put it where it cannot be touched. Lastly, refrain from using credit cards. You will not get out of debt if you continue to put money on credit cards. Stop using them until you are completely out of debt, despite the rewards. You should also avoid taking out loans until your debts are completely paid off. The purpose of your emergency fund is so you don’t have to use credit cards for these unexpected expenses. One way to speed up the repayment process for credit cards is consider picking up a part-time job. If you implement a couple or few of the tips above, you will certainly be on your way to stop living paycheck to paycheck. Good luck!